Additional marriages for Nathaniel Howland Jr.
Sources for Nathaniel Howland Jr.
1 Boston, MA: Church Records, 1630-1895, New North Church, p. 165, Baptism for son Joseph Howland, New England Historic Genealogical Society (Online Database). 2 Boston, MA: Deaths, 1700-1799, Death record for Capt. Nathaniel Howland, New England Historic Genealogical Society (Online Database). 6 Plymouth Church Records 1620-1859, Page 269, Baptism for Nathaniel Howland, New England Historic Genealogical Society (Online Database). 7 Plymouth, MA: Vital Records to 1850, Page 19, Birth record for Nathaniel Howland, New England Historic Genealogical Society (Online Database). 8 Aspinwall, Algernon Aikin, comp., The Aspinwall Genealogy, Rutland, Vermont: The Tuttle Company (1901), 75, Internet Archive (Digital Library). 9 Johnson, Alvin Page, Franklin D. Roosevelt's Colonial Ancestors: Their Part in the Making of American History, Boston: Lothrop, Lee and Shepard (1933), 83, 87, Heritage Quest (Digital Library). 10 Roberts, Gary Boyd, The Royal Descents of 600 Immigrants to the American Colonies or the United States , Baltimore: Genealogical Publishing Co. (2008), 308. 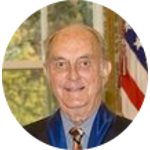 11 Roberts, Gary Boyd, comp., Ancestors of American Presidents , Boston: New England Historic Genealogical Society (2009), 446. 12 The New York Genealogical and Biographical Society, New York Genealogical and Biographical Record, 1942, Vol. 73, No. 3, Pages 159-166 and accompanying chart. 13 Wakefield, Robert S. and Ann Smith Lainhart, Mayflower Families Through Five Generations: Vol. 23, Part 1, John Howland, Plymouth, Massachusetts: General Society of Mayflower Descendants (2006), 37, 163-165.